David Crystal explains how Shakespeare really spoke, and how ‘Original Pronunciation’ can help us better understand his plays. After saying goodbye to Dominic Dromgoole last week with the final performance of the Globe to Globe Hamlet, all eyes are on Emma Rice’s first moves as Artistic Director of Shakespeare’s Globe. But one of the strands of the Globe’s research and performance from the latter days of Mark Rylance’s reign is still bearing fruit – Original Pronunciation – the attempt to perform Shakespeare’s lines as they were spoken during his lifetime, at the tail end of the Great Vowel Shift. 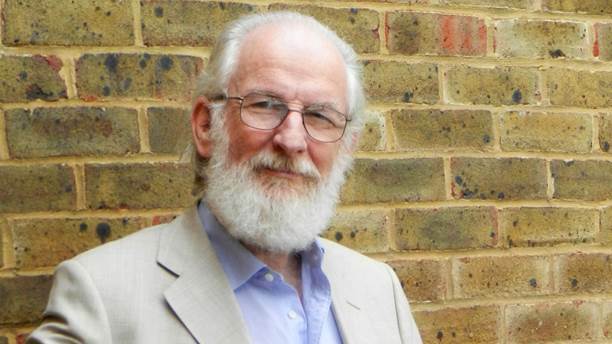 The Oxford Dictionary of Original Shakespearean Pronunciation has just been published, and is by David Crystal who worked on the first Original Pronunciation (OP) productions at the Globe. I pointed out to David how excitedly some of our contributors have written about his work in the past before diving into some questions about this latest and most extensive work on the subject to date. Your work with the Globe (and with your son Ben) has kept your study of OP rooted in performance: do you think academic studies of Shakespeare need to be rooted in theatre practise, or is there something about OP that uniquely bridges that gap? Not necessarily. There is an inherent intellectual, cultural, and aesthetic fascination with the writing that can be explored without reference to performance. But for me, it is always grounded in theatre practise. I take it as axiomatic that the aim of a play is to reach out to an audience, and anything that can remove a barrier, reduce the distance, without disturbing the text, is to be valued. What I find most fascinating about OP is the way audiences everywhere (I’ve seen about 15 plays done in OP around the world to date) report that OP gives them a sense of ownership that the tradition of presenting the plays in RP (Received Pronunciation – as heard from Olivier, et al) did not. The reason is that OP contains echoes of their own speech. Virtually everyone says, after listening to OP, ‘we speak like that where I come from’. What they’re noticing are the sounds in OP that are closest to their own backgrounds. The closeness makes them more receptive, and thus a second comment is also common (including those who speak English as a second language): the plays become easier to understand. What first prompted your research into OP? Well, studying the history of pronunciation is routine in a well-rounded linguistics course. In my case, I studied Old English, Middle English, and so on, as part of my undergrad degree, and the pronunciation aspect was part of that. So I knew the stages through which English has moved. But I never dreamed that such an intellectual study would ever be useful to anyone! And I was completely taken aback when the phone rang one day in January 2004, and it was Tim Carroll (who was directing Romeo and Juliet at Shakespeare’s Globe), who said he would like to add an OP dimension to his production. I then worked with the company, and expected it to be a one-off event. But the experiment was so successful that it was repeated the following year. Theatre directors and actors in the audience then took the initiative back to their own locations, and by 2010 the OP ‘movement’ had begun in earnest, with productions of Dream (Kansas) and Hamlet (Reno), as well as many other smaller-scale events. As the momentum grew, I realized that producers would need materials to help them put on plays, so I started work on the Dictionary. You’ve written extensively about rhymes and jokes that are lost without attention to original pronunciation. Are we losing other elements as well? Do you think the fact that we gloss over OP-specific wordplay (in ‘tragic’ as well as comic moments) means we lose something of the richness of the texts? Most certainly. People say there’s nothing new to be learned about Shakespeare. But when it comes to OP, every time I explore a play I discover something new. So, for example, when one knows that a popular pun in Elizabethan times was to pronounce ‘woman’ as ‘woe-man’, this provides actors with an option that they can explore in, for example, ‘Frailty thy name is woman’ (Hamlet) or ‘Suddenly, woman’ (Pericles). Ben has played both these roles, and went for that option each time, to great effect. Now, I’ve no idea what effects of this kind will turn up in the 20+ plays that have not yet been produced in OP. But new options will definitely emerge. And there is the novel auditory aesthetic of hearing the lines read in an OP style (‘trippingly upon the tongue’), and the new assonances that arise, eg ‘farthest earth’ in Sonnet 44, where the vowel of ‘earth’ is the same as that of ‘farthest’. There are hundreds of examples like that. And then there are the sociolinguistic choices that can be made in OP: /h/ might be sounded or dropped, for example, as it can be today (but without the social criticism), so in the Kansas Dream, for example, the nobles sounded their h’s, the mechanicals dropped them, and the fairies…? Are they noble or earthy? If Puck normally drops his h’s, then he can add them when he is mimicking the lovers as they run through the forest. Choices of this kind raise fascinating questions in rehearsal. You hope that the dictionary will be of use to other theatre companies. Do you envision lots of companies being inspired to do full productions in OP? Other than the Globe, where else has OP influenced the performance of Shakespeare? I hope so. I try to keep a record of the productions that have taken place – insofar as people tell me about them – on the website www.originalpronunciation.com. So far, as I said, about 15 plays have been done in OP. This year, the Baltimore Shakespeare Factory is doing The Winter’s Tale; a company in Bloomington is doing Lear; and Ben’s Passion in Practice company has just reprised Pericles in Savannah. How does your work with Shakespeare extrapolate? Does he sound notably different to his contemporary playwrights? Can we apply aspects of it to learn more about the first Book of Common Prayer or the King James Bible? And what drives the next big change in early modern English pronunciation? One of the most interesting things that has happened is the way other constituencies have taken up the OP idea. The early music people are just as interested in hearing how Dowland, Byrd, et al sound. The rhymes need to work there just as they do in Shakespeare. Hearing the KJB in OP was a popular event during the 2011 anniversary. And there have been OP versions of a John Donne sermon (in the Virtual St Paul’s Cross project), with the same team (at North Carolina) currently planning an OP version of the BCP. The heritage people are also interested in having their sites heard in OP. And of course, other playwrights are waiting in the wings. This year, Ben’s company is doing its first Marlowe (Dr Faustus) at the Globe, and a version of Henslowe’s Diary. Who knows what we’ll discover there! The Oxford Dictionary of Original Shakespeare Pronunciation is a massive undertaking – what do you think might be the next big thing in linguistic studies of Shakespeare? And what’s next for you? I have no idea. If you had said to me, in December 2003, I would be spending the next decade of my life applying historical phonology to Shakespeare performance I would have said you were mad. Who knows what the next phone call (or email) will bring? But as things stand, I’m expecting to do more work with Ben’s company, and to react (as much as possible, as time permits) to requests for advice from companies, choirs, and soloists who want to explore OP. At present these requests come in about once a week, which shows how fast the movement is growing. And I suspect that, as more academics with an interest in performance come on board, there’ll be some interesting discussion to be had about the options I mentioned above. Other periods of English are also attracting attention (Chaucer, Beowulf…). It’s an exciting time for OP. The Oxford Dictionary of Original Shakespearean Pronunciation is published by OUP and is available here.